Congratulations to the 2014 Road to the Vibes winner, Cosmic Dust Bunnies! Cosmic Dust Bunnies began their interstellar journey in 2006, originally coming together for the purpose of improvisational exploration. They began to develop a sound and style that would soon evolve into the identity they embrace today. 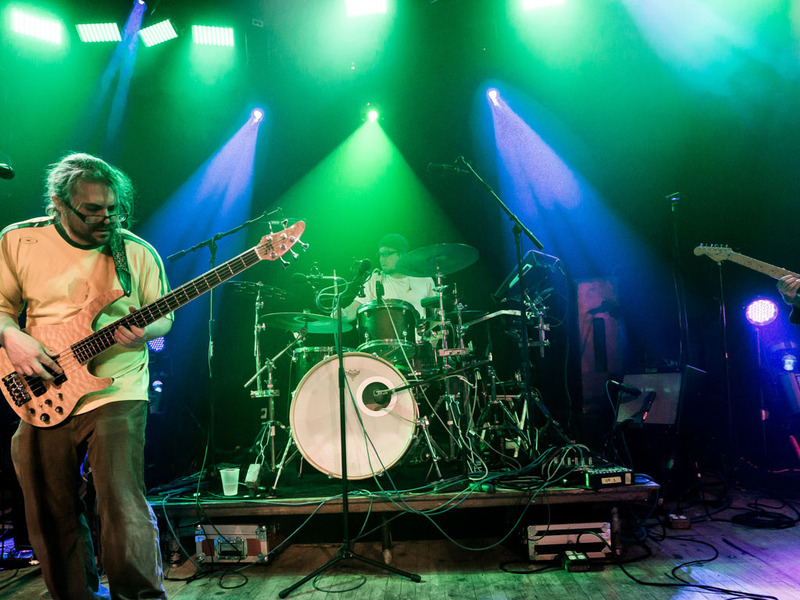 In addition to their New Wavetronica jams, CDB layers influences from Reggae, Dub, Funk, Rock, Pop, and everything in between to form an intimate bond with the audience. CDB’s rhythm section is comprised of Matt Beckett’s funky futuristic bass sounds and Eric Hyland’s precise timing on the acoustic and electric drums and loops. In addition, Matt Dempsey rips smooth and tasteful guitar licks while Chris Sellas blends in keys/synthesizers and sequences to complete their truly unique sound. These ever-evolving live performances have lead to packed houses at some of Connecticut, Rhode Island, and New York’s most well respected venues. CDB has become a staple late-night act for such festivals as Catskill Chill, The Big Up, Ziontific, Rock N Roll Resort, Strange Creek and Wormtown and was also a part of the memorable City Bisco in Philadelphia hosted by The Disco Biscuits. CDB’s most recent album release “Skyward” is now available worldwide while fans from across the galaxy travel far and wide to experience the Cosmic Dust Bunnies.